ALBUQUERQUE — For years Patricia Crown puzzled over the cylindrical clay jars found in the ruins at Chaco Canyon, the great complex of multistory masonry dwellings set amid the arid mesas of northwestern New Mexico. They were utterly unlike other pots and pitchers she had seen. Some scholars believed that Chaco’s inhabitants, ancestors of the modern Pueblo people of the Southwest, had stretched skins across the cylinders and used them for drums, while others thought they held sacred objects. The Kiowa Five were a group of painters who earned national and international acclaim during the early twentieth century. The group actually consisted of six individuals, Spencer Asah, Jack Hokeah, Stephen Mopope, Monroe Tsatoke, Lois Smoky, and James Auchiah. A number of the artists attended St. Patrick’s Mission School in Anadarko, Oklahoma, where they received art instruction from Sister Olivia Taylor. Susan Peters, a government field matron, also took an interest in the young artists' work. She arranged for an artist from Chickasha, Mrs. Willie Baze Lane, to provide art lessons. Eventually Ms. Peters persuaded Dr. Oscar Jacobson, head of the school of art at the University of Oklahoma, to provide additional training for the artists. In 1926, Asah, Hokeah, Tsatoke, and Mopope arrived at the University. 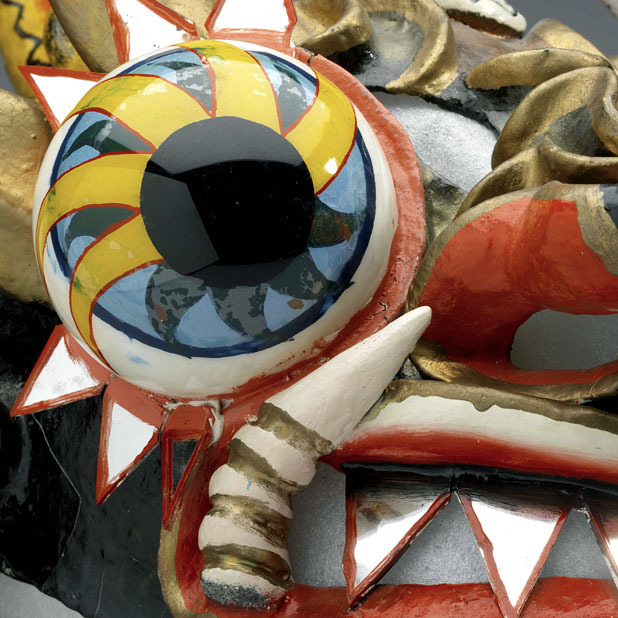 The artists were not officially enrolled, but they received special instruction from Jacobson and Dr. Edith Mahier, another professor in the school of art. In January 1927, Lois Smokey, a young Kiowa woman, arrived to study with the other artists. In spring, the artists were compelled to return home to attend to agricultral pursuits. They returned in the fall, accompanied by James Auchiah, the sixth and final student. Shortly thereafter, Lois Smokey withdrew from the program and returned home. Dr. Oscar Jacobson arranged for the Kiowa artists’ paintings to be exhibited in 1928 at the First International Art Exposition in Prague, Czechoslovakia. In 1929, Kiowa Art, a portfolio of the artists' paintings was published in France. Jeanne O. Snodgrass, American Indian Painters - A Biographical Directory. Museum of the American Indian Heye Foundation, 1968. Patrick D. Lester, The biographical directory of Native American painters. SIR Publications, 1995. St. James guide to native North American artists, with a preface by Rick Hill; and an introduction by W. Jackson Rushing; editor, Roger Matuz. St. James Press, c1998. 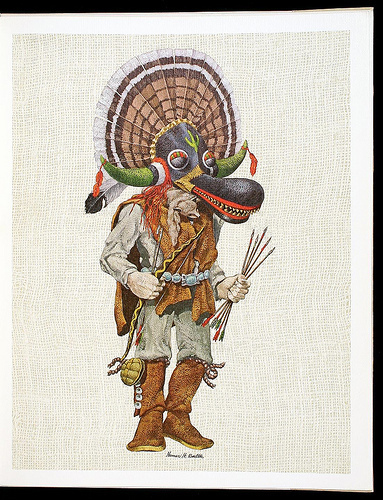 John Anson Warner, “Native American Painting in Oklahoma: Continuity and Change.” The Journal of Intercultural Studies, 23: 14-129, 1996.
the americas exhibit, originally uploaded by urinepublic. The Metropolitan Museum of Art has embarked on a bold initiative to provide original video content of the Museum's events and programs, including films, lectures, concerts, guided tours, talks, and family programs, over YouTube. 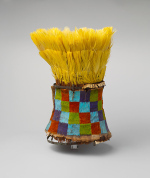 Of particular interest to blog readers are the playlists for the Department of the Arts of Africa, Oceania, and the Americas (5 videos at this writing), and 6 videos prepared for the exhibition "Eternal Ancestors". Here for example is a brief video about the installation of the Asmat bis poles in the new gallery of Oceanic art. Chief Smoke's (Oglala Teton Sioux) shirt. Credit: Smithsonian Institution, Department of Anthropology. Johanna Scherer, emeritus anthropologist at the Smithsonian Institution, posted a link and description for Material World of an online exhibition she has developed that traces her research into "a historical photograph of a manikin of a Native American and using it as evidence to re-identify museum artifacts that had lost their provenance over the course of more than a century." The site, Red Cloud's Manikin and His Uncle's Shirt: Historical Representation in the Museum as Seen Through Photo Analysis, includes a discussion of using historical photographs in museum research, the use of manikins in museum displays, biographical information on Red Cloud, and a description of the shirt (above) held by the Department of Anthropology, Smithsonian Institution. A fuller version of her research will be published at a later date. The site also links to a slide show produced in conjunction with the exhibition "Picture Puzzles: Red Cloud and His Uncle's Shirt" held at the National Museum of Natural History, Smithsonian Institution. 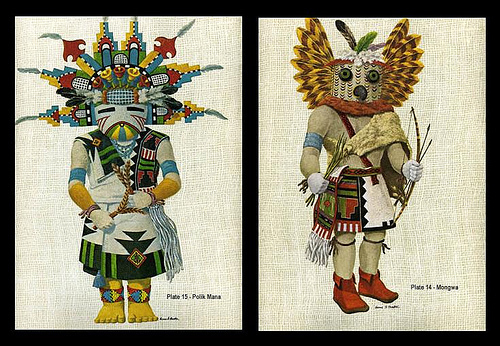 Radiance from the Rainforest: Featherwork in Ancient Peru, By Heidi King. Tribal Art, no. 48 (spring 2008), p. 64-67. Available in print in the Goldwater Library (A W97 No. 48 (Spring 2008)) or Online via WilsonWeb. 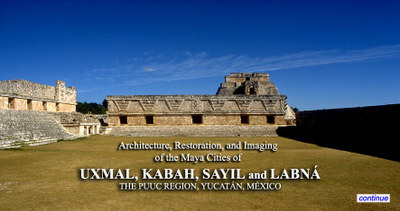 Architecture, Restoration and Imaging of the Maya Cities of Uxmal, Kabah, Sayil and Labná "includes over 1000 photographs ... taken on site, with descriptive captions, including architectural and sculptural details, paint remains, and interior spaces, not previously published. In addition, there are over 250 19th century drawings, prints and photographs and another 300 by early 20th century scholars, many previously unpublished, showing the appearance of these four cities before the extensive restoration campaigns of the twentieth century." While the site was produced by Reed College primarily for the use of its faculty and students, the site will certainly be of interest to a wider audience of specialists and non-specialists alike. Of particular note to the library research-minded are the extensive scans culled from published works including Waldeck's Voyage pittoresque et archéologique dan la province d'Yucatan (1838), the several works by Stephens and Catherwood from the 1840s, as well as Charnay's Cités et Ruines Américaines (1862-63) and Anciennes Villes du Nouveau Monde (1885), photographs by Le Plongeon, and Seler's monograph on the ruins at Uxmal. An extensive bibliography is included, sorted into four separate pdf files by subject, author, title and date.